After seeing numerous Instagrams of piled-high ice cream cones that clearly weren’t from Ben & Jerry’s or Kilwin’s (#classicumich), I knew there was a new AA ice cream shop I needed to try. I’ve never been so thankful for social media because now I can’t imagine my life without the amazingness that is Blank Slate Creamery (I’ve been there twice in the past week). Located on Liberty Street just past Main, this quaint yet modern shop seems to have it all. 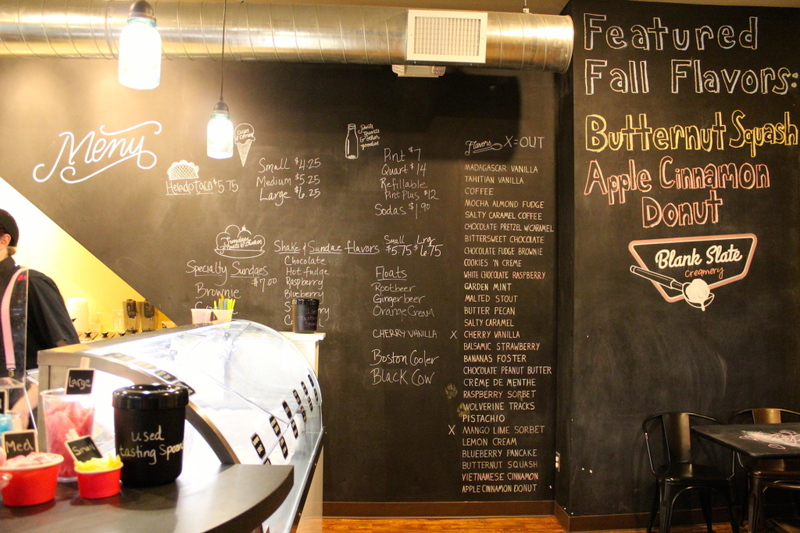 Not only are you greeted with the smell of freshly made waffle cones, but the chalkboard walls and tables make for a slightly trendier feel than your average ice cream joint. Yes, I did just say chalkboard walls and tables, and yes, it is acceptable to get creative and channel your inner child upon arrival. Now you might be thinking, what could be so special about ice cream? 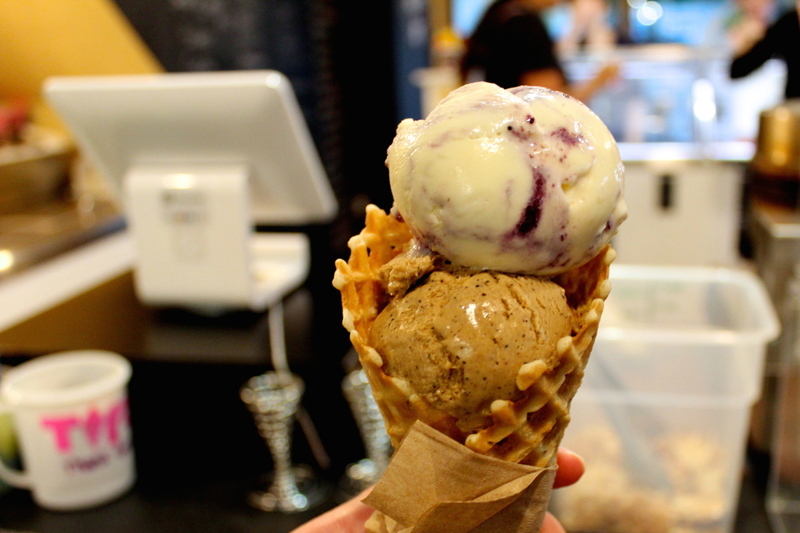 And with Blank Slate Creamery, it’s all about the ingredients. Blank Slate takes “fresh” to a whole new level. Just to give you a taste (get it?) I’ll mention some of the highlights: Mighty Good Coffee grounds, all-natural peanut butter, fresh mint leaves, Guittard chocolate and fresh strawberries. If that list didn’t do it for you, I’ll move on to the stars of the show: the flavors. Starting with some of their new fall flavors (because who doesn’t love anything that tastes like pumpkin? ), take your pick between butternut squash, apple cinnamon donut and Vietnamese cinnamon. I might be a little biased considering it’s the only one of the three flavors that I tried, but the apple cinnamon donut might have been one of the best things that has happened to my taste buds. The description of the flavor says it all: baked apple pie filling with fresh brown sugar buttermilk donuts. Some other standout flavors include salty caramel coffee, bananas foster (the “foster” is homemade in shop), blueberry pancake and chocolate fudge brownie. They also have sorbets for you lactose-free people—you can check out their full list of flavors on their website. If you couldn’t tell by now, I’m a huge fan of Blank Slate Creamery. The ice cream is top notch, but the cozy environment and friendly employees make it all the better. Not to mention the free waffle cone pieces available when you check out. 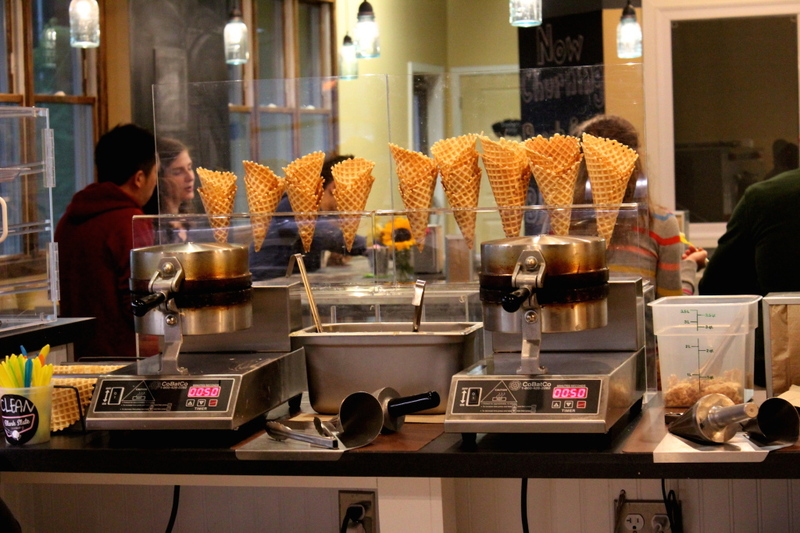 I’m also determined to try the “helado taco” some day: three scoops of ice cream in a taco shell-shaped waffle cone. Which Insomnia Cookie Are You?